You are cordially invited to the Mayor’s Business Roundtable program on Thursday, November 16, 2017 from 11:30 a.m. – 1:00 p.m. at City Hall in Council Chambers. Our Vision Action Plan Committee is seeking feedback and ideas for its Action Plan. Tulani Freeman, our Oregon Fellow through Portland State University, will be presenting the committee's work thus far and gathering input on economic development and livability. The Mayor’s Business Roundtable provides you with an opportunity to sit down directly with Fairview businesses to listen to concerns and issues within our community. The City provides lunch and the City Administrator, along with the entire City’s Management Team, will be in attendance to respond to your questions and concerns. We have held many successful meetings since initiating this program and we truly value your attendance and input. In order to provide enough food and refreshments for everyone, please contact Linda Wood at (503) 674-6223 or by email at woodl@ci.fairview.or.us. Seating will be limited, so please contact us by Tuesday, November 14th, 2017to let us know if you are able to attend! 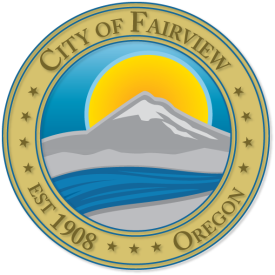 The City of Fairview is committed to building communications and trust, and to making our business community successful. We look forward to seeing you.